Modern Living with Classic Charm. 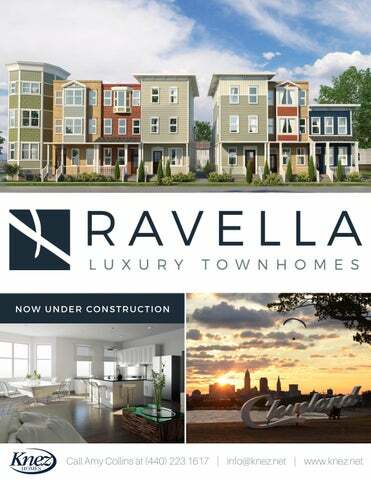 Introducing Ravella, an exclusive new luxury townhome community in the heart of the dynamic Detroit Shoreway neighborhood. Located on the corner of W. 52nd St. & Franklin Blvd., residents will enjoy incredible walkability to shopping, dining, arts & entertainment, with convenient access to Downtown Cleveland. Take advantage of the rare opportunity to enjoy a classically beautiful faĂ§ade with all the advancements of modern construction. Built with lasting materials and sustainable construction practices, these homes are energy efficient â&#x20AC;&#x201C; with the compelling benefit of a 15-year tax abatement. La Dolce Vita Everything you want, just outside your door. Imagine stepping outside and being a short stroll from Astoria, Latitude 41˚n, Spice and Happy Dog. Whether you want to grab a cup of coffee or explore the bounty of delectable imported and local goodies – Detroit Shoreway’s booming bar, restaurant and food culture is guaranteed to delight! Just minutes from the Gordon Square Arts District – home to the Capitol Theatre, Cleveland Public Theatre and Near West Theatre – you can enjoy the best of independent films, community theater, and cutting-edge plays in Cleveland’s newest up-and-coming neighborhood for entertainment. As if that’s not enough! – you are surrounded by incredible outdoor green spaces. Just to the south, you will find the Zone Recreation Center and to the North you will find Edgewater Park. Hike, bike, play tennis, soccer, or beach volleyball. There is always something new to try. Happy to be Home. The Detroit Shoreway neighborhood has so much to offer, but Ravella residents will be just as happy to stay at home. Every unit boasts an attached garage and outdoor deck space. The Palazzo unit tops out at over 1,400 square feet of decks â&#x20AC;&#x201C; including a classic deck off the second floor and a stunning roof deck with a penthouse! With unique residences that include spaces like Studios, Pubs and even a Meditation Room â&#x20AC;&#x201C; you can choose the floorplan that best fits your needs. Want a pet nook, a wet bar, or drawers under your stairs? We have the option to create your perfect home. *Units under construction. Prices include upgrades - please ask Salesperson for details. In an effort to constantly improve the quality and value of our homes, B.R. 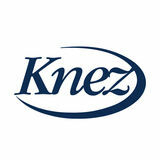 Knez Construction reserves the right to updates materials and specifications.